MAXX by Steigenberger is the latest brand to be introduced under the Deutsche Hospitality umbrella. Only three months after being launched, it has now become the proud winner of a 2018 German Brand Award. 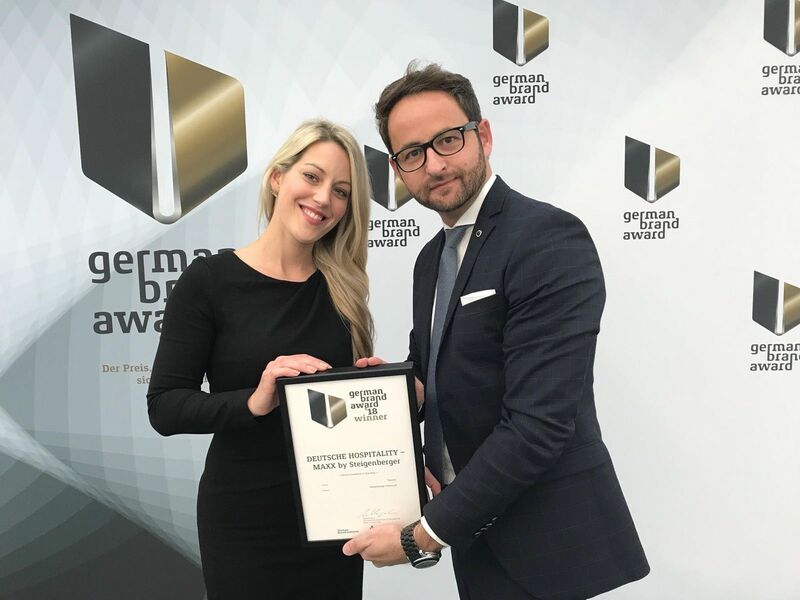 Deutsche Hospitality received its prize in the category of “Industry Excellence in Branding – Tourism”, which recognises the best product and company brands within the sector. Frankfurt am Main, Germany, 2018-Jun-28 — /Travel PR News/ — The German Brand Award has been in existence for three years and is conferred by the German Design Council together with the German Brand Institute. It acknowledges successful brands, robust brand management and sustainable brand communication. 600 invited guests from trade and industry, the cultural community and the media attended the formal prize giving ceremony, which took place at the German Historical Museum in Berlin. MAXX by Steigenberger is new and charismatic. It places the focus on the essential in accordance with its motto “MAXXimize your stay”. The concept encompasses attractively furnished rooms with beds that deliver a feel-good factor, space for flexible working, free Wi-Fi in public areas, the popular Steigenberger Breakfast and the MAXX Coffee Ritual. MAXX is an upscale brand which is particularly franchise friendly. It possesses more flexible hardware standards and thus provides the necessary leeway for qualitative and quantitative growth. Aspects such as service, staff and F&B are aligned to Steigenberger quality standards, whilst the brand is also able to embrace different destinations, locations and room sizes and the architecture of individual hotels. The German Design Council is one of the world’s leading centres of excellence for communication and knowledge transfer within this specialist field. Its patrons now include more than 300 companies. The German Design Council was established in 1953 following an initiative from the German Lower House of Parliament to strengthen design expertise in the German economy. It pursues a diverse range of activities with the single goal of using design in a strategic way to communicate a sustainable increase in brand value. This entry was posted in Hospitality, Hotels, Tourism, Travel, Travel Awards, Travel Marketing and tagged Andrej Kupetz, branding, Deutsche Hospitality, German Brand Award, Mark Pfeiffer, MAXX by Steigenberger, tourism. Bookmark the permalink.